Facebook has grown from being a social network to a part of the way of life for consumers around the world. Now the company is working to become a way to get your mortgage and other loans approved. I know, when I first read the story, I thought it was a joke. 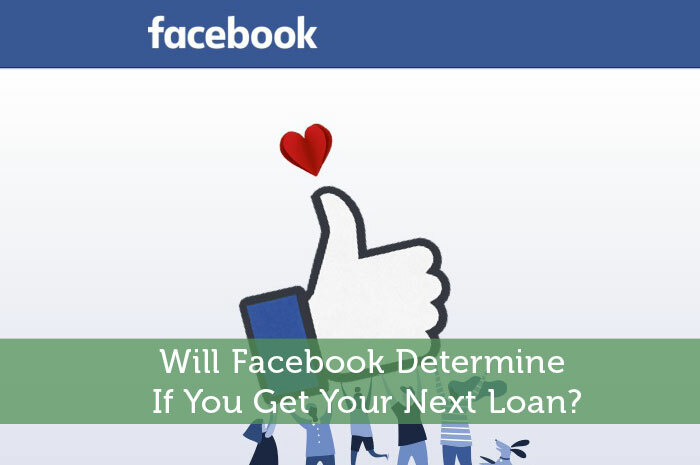 However, further research into the concept shows that the company is actually working to help gauge your credit worthiness based on your Facebook following. Today, we’ll talk about how the company plans on gauging your credit worthiness, whether or not this has a real possibility of coming to fruition and whether or not this will help FB to grow even further! Over the years, we’ve learned that consumers become who they hang out with to an extent. Therefore, when you hang out with professionals, you have a higher probability of becoming a professional. Facebook believes that we can take this a step further. In fact, they believe that if you spend time with people that pay their bills on time, chances are that you will too. Adversely, they believe that if you spend time with people that can’t seem to pay their bills, you’re at risk of not being able to pay your bills too! Really… this isn’t a joke!!! Facebook recently filed a patent for the “authorization and authentication based on the individual’s social network.” Under this patent, Facebook is hoping that they will be able to decide whether or not an individual is credit worthy based on their social following. Essentially, users would be given a score based on the users they are friends with. If their friends have a history of paying their bills on time, the score will be relatively high. However, if the majority of their friends don’t pay their bills on time regularly, the score will be low. This is an interesting story because at first glance, it doesn’t seem like something that would lead to profit for Facebook. However, if done properly, this could be a big income earner for the company. The reality is that big banks are always looking for new ways to reduce risk associated with loans. If FB can prove that the algorithmic process of gauging credit worthiness based on their social friends is working, the company can partner with banks. Under these partnerships, FB would earn quite a bit of money by giving banks another way to determine risk. Whether or not this is likely to work is a different story. I agree that it could be productive, but it could also give quite a few mixed signals. So, that is yet to be seen. Moving forward, I have overwhelmingly bullish expectations with regard to what we can expect to see from FB, regardless of what we see from the new credit worthiness algorithm. The bottom line is that Facebook is used by a massive amount of people, and the company has proven time and time again that they are masters at monetizing their social network. While the new credit worthiness algorithm has the possibility of increasing income, that’s still long off. Nonetheless, with what FB has done in the past, there is no reason to expect the stock not to continue climbing.